An orthodontist is majorly concerned with repairing and straightening a person’s teeth as well as alignment and misaligned jaws. 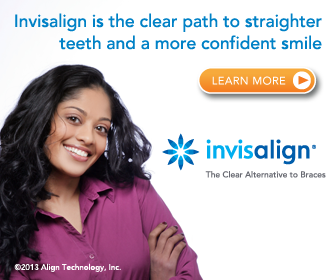 One of the popular reasons why most people go to orthodontists is to get braces. 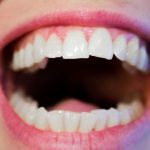 There are other reasons such as correcting an underbite or overbite or even altering the shape of the jaw. For one to be an orthodontist, there are various educational qualifications that he or should have attained. One of the minimum educational requirements is a doctorate degree in dentistry with specialized training in orthodontics. It’s a requirement that you first complete the undergraduate studies before you join a dental school. These undergraduate studies equip a student well before seeking higher education to become a fully qualified orthodontist. Maintaining a good GPA is very key for the undergraduate studies. This is because most of the dental school applications consider the GPA regardless of the passion that one has to become a dentist. Students are also advised to look for opportunities that will add value to the application in the dental schools of choice by simply participating in other extra-curriculum such as volunteer work, clinical experiences among others. 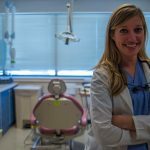 In a dental school, there are four years of intense studies. The first two years, one focuses majorly on the scientific coursework to prepare him or her for clinical components in the following years. Most of the dentists are subjected to further training to become an expert orthodontist. During the training, students study behavioral and basic sciences and more in-depth biomedical and also practices the various skills of tooth movements among other activities. 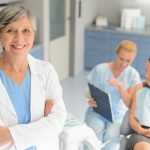 For one to become an orthodontist, it a requirement that you first pass the exam and become a licensed dentist which comes from certification exams during different times while in the dental school. Easy, right? Good luck to your journey to all the future orthodontists out there! There are really various qualifications to get through to this course, but it is up to you. If you really want this kind of profession, I think you can handle it very well. This is a great stepping stone to achieve your dream. For those who want this kind of profession, this is your guide to accomplish the course.